The LiftEasy gas strut with black shaft. AUSTRALIAN Gas Springs (AGS) has released their new range of LiftEasy gas struts with black shaft. During the Christmas break AGS completed extensive testing on their range of LiftEasy gas struts for Australian conditions. The results indicated that a black shaft (salt nitride) finish will improve their gas strut's performance across the many industries that AGS service. This salt nitride finish is a special coating created to provide exceptional corrosion resistance and durability to suit the harsh Australian environment. In addition, Australian Gas Springs has invested in a testing machine that will assist in a broad range of quality control requirements. The benefits of this new machine will ensure all LiftEasy gas struts will be batch tested and documented. AGS now has the ability to test struts from extended lengths of 50mm up to extended lengths of 1100mm. LiftEasy gas struts are able to provide very accurate Newton force readings and can measure from 10N up to 5000N. The accuracy of this machine will enable struts to be tested in increments of 10N and will ensure that AGS’ struts are supplied to their customers specifications. 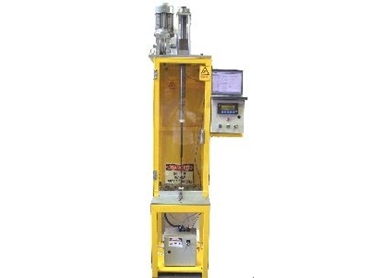 AGS believe the new LiftEasy testing machine coupled with their in-house gassing facilities will provide their customer base with superior quality, service and consistent supply. Due to strong customer demand and the necessity to provide greater customer service, Australian Gas Springs will soon open their new premises. Incorporating larger warehouse space, customer service and reception area, AGS will be better positioned to ensure high levels of customer care. The new premises will have a new customer service/showroom counter that will process all account enquiries and orders. The opening date will be on Wednesday the March 1, 2006. The new premises are located at 29 Tower Court, Noble Park, Victoria, which is close to their old factory. The phone numbers and fax number will remain.